Hello, Joe would like to thank you for taking the time to check out his Official Website. Joe would appreciate it if you took the time to contact him, to tell him how you found his site, or just to say hello. 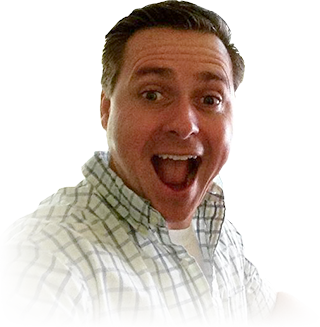 Joe Fitzgerald is a Web Developer based in the South Florida region. He built this site on the Zend Framework; version 2. To learn more about the technologies that went into building this site, you can visit the Web Development section of this site. This is the official site of Joe Fitzgerald, so learn about Joe Fitzgerald. You can keep up with current events in the life of Joe Fitzgerald, view tutorials and other general, Joe, musings, by reading his Blog. In the Multimeda section you can view pictures and videos related to Joe or that Joe finds entertaining. View the Art of Joe Fitzgerald. There are desktop wallpapers, illustrations and comic book art images. Check them out! View the many samples of Joe Fitzgerald's work on display on Joe's Web Developer and Artwork pages. There's something for everyone. From Web Site designs and development techniques to logo designs and comic book art. You can even check out Joe's resume to see the stuff he's worked on.